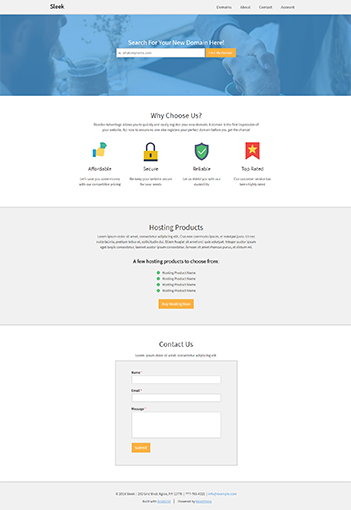 We have made it easier to get your Reseller Hosting business off the ground. With Reseller Advantage, you can start selling domains and making money within a few business days. We automate the selling process for you by installing and configuring key components - including domain purchase and billing - in a custom, pre-built website. Just complete two easy steps and in a couple of business days, you'll be ready to sell domains. 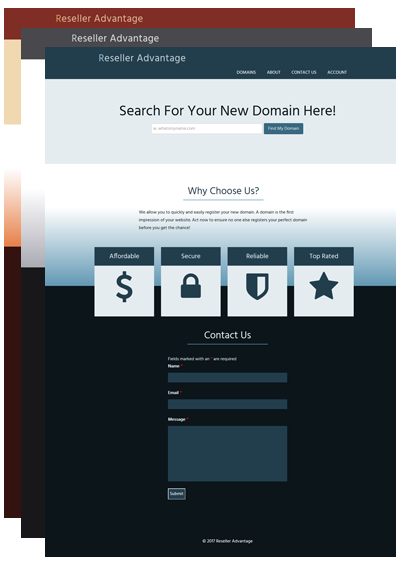 We deliver a website ready to sell domains. 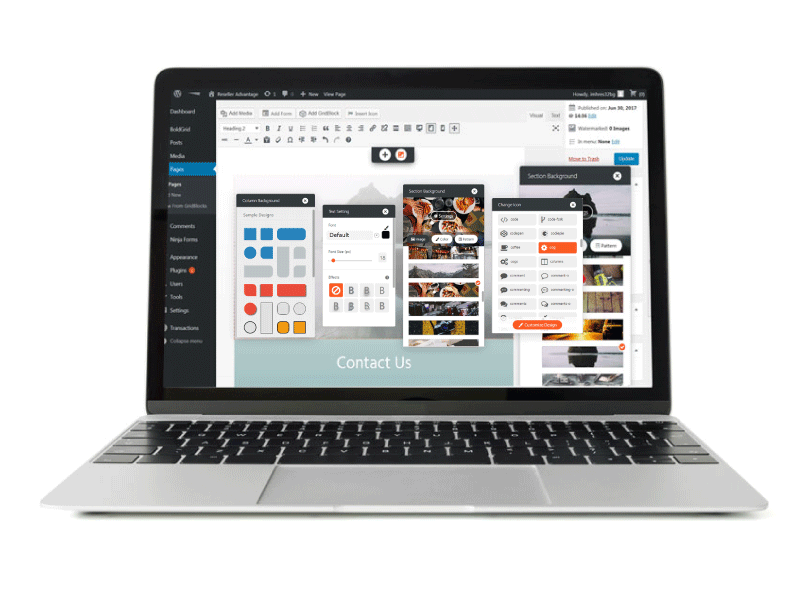 You have full control to configure and redesign the website. You’ll get one premium Positive Comodo SSL($49/yr value) certificate FREE for the life of the account. We automate the installation and configuration of all the key components including domain purchase, billing, and a pre-built custom website. You’ll just have two easy steps to complete then you can start selling domains in a couple of business days. as you purchase your Reseller plan. Reseller Advantage is a service for Reseller Hosting customers. The service makes sure that your billing software (WHMCS) and Domain Reseller Account (eNom) are configured to work together. You essentially get a custom-built website with the process of selling domains automated out-of-the-box. Once we install and configure the key components, all you have to do is set up a payment processing option and add your eNom balance to start selling domains, usually within a couple of business days. Then, use our provided step-by-step guides to easily setup your WHMCS to also sell hosting plans. Get a ready-to-sell storefront website so you can start selling domains in just 2 Business Days. Design and brand your storefront site using BoldGrid’s versatile drag and drop editing tools. No coding skills required! But for those with coding chops, you can easily edit elements of the page using raw HTML & CSS. Designing with the BoldGrid plugin is simple, easy, and fun! 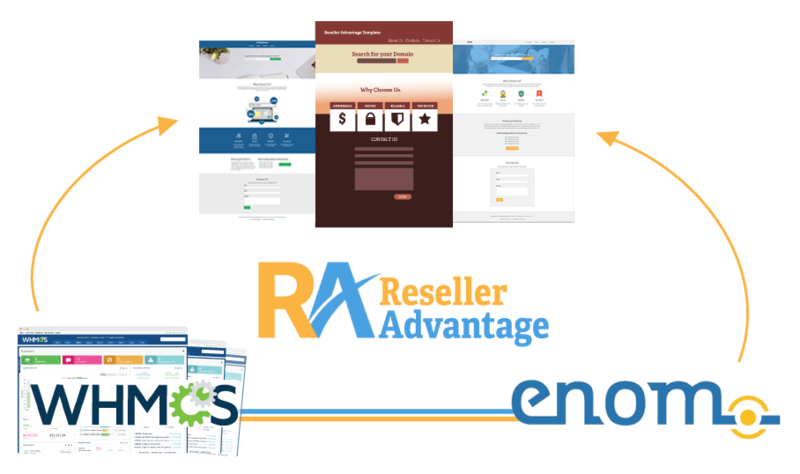 Add Reseller Advantage in your shopping cart! If you already have an account with us, just activate it in your AMP by selecting the Reseller Advantage Icon. Chat with us if you have any question. Reseller Advantage service is available for Reseller Hosting customers. With this service, you get a website that has WHMCS, eNom and SSL installed, configured, and connected for a one-time fee. The process of selling domains has been automated for you so that you can launch your Reseller Hosting business and start making money. What features does Reseller Advantage include? Reseller Advantage includes one premium Private Comodo SSL that’s free for the life of the account, a customized WordPress site that is built on the BoldGrid plugin, and a Domain Spinner that suggests domain names customers may want to buy. Will Reseller Advantage make me more money? Reseller Advantage helps you start making money sooner as it eliminates much of the setup and configuration typically required to start a reseller hosting business. Reseller Advantage is our plug-and-play solution so you’ll have more time focusing on building your hosting business. What is the “Advantage” in the Reseller Advantage? We take care of the hardest parts of setting up your reseller hosting business, giving you an advantage over those that try to do it themselves. Reseller Advantage customers can start selling domains within just 2 business days. How can I activate Reseller Advantage? Simply log in to AMP (Account Management Panel) then select the Reseller Advantage icon. Follow the steps to purchase the service. What is the return policy? Does the 90-day money back guarantee apply to Reseller Advantage? No, because Reseller Advantage is a service that we provide for you (includes installation, software configuration etc.) we do not offer a refund. I just got my Reseller Advantage site, and it lets me sell domains, but how do I use it to sell hosting services? After setting up your merchant account through your eNom account, you are able to start selling domains to your customers. To start selling hosting services on your front-facing website, you’ll need to create your hosting products in WHMCS. See the “How to Add Hosting” section of the Reseller Advantage Product Guide for more information. If I already have a website, will Reseller Advantage work for me? Yes, but we build your Reseller Advantage site on the primary domain of your Reseller account. When purchasing Reseller Advantage you will receive a prompt asking you to agree to having all current website files in the root directory of your main domain archived, so we can build this site. Your site and data will remain archived, and the Reseller Advantage site will takes their place. How long does it take for me to get everything set up if I don’t use Reseller Advantage? That completely depends on you. Some Resellers find they can get their businesses running within the first week, while others can take 30 days or more. Some struggle through performing sales by hand, while others know how to build in automations. With Reseller Advantage, regardless of your technical knowledge or experience, you can be up and running within 2 business days of sign-up. How long does Reseller Advantage usually take to install? Less than two business days. That includes the time to perform multiple installations, design and build a customized website, and configure everything to work as smoothly as possible from day one. 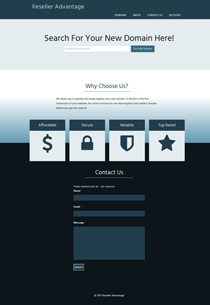 The service is done by our Web Design Team. Is “everything” installed for me? Yes, if by “everything” you mean the essential programs and features that you’ll need to resell hosting and domains. You will receive: WHM, WHMCS, a WordPress website, an eNom Domain Reseller Account, and your fully licensed, installed and configured premium SSL. Since Reseller Advantage is a service, will someone walk me through what was installed? Upon delivery of your Reseller Advantage site, you will receive an email with the details of your installations. 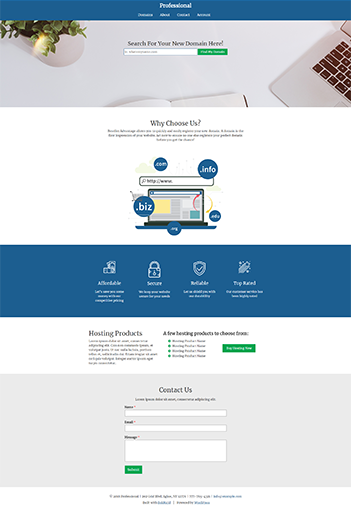 You will also receive a link to our Reseller Advantage Product Guide, which tells you how to further customize your site and add additional products. Our tech support team is always here for you 24/7. We offer three Reseller Advantage templates: Modern, Professional, and Sleek. BoldGrid allows you to easily customize and update the look and feel of the layout for your site. You can also use BoldGrid's many themes.